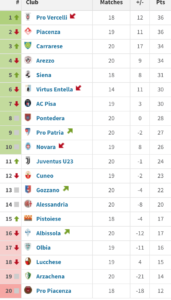 It has been a fair while since I delved into the youth sector, though I have been keeping abreast of the general form of the primavera and of course the debut campaign of the U23 side. After my lengthy analysis of the senior side, a brief report of the young guns seems long overdue. 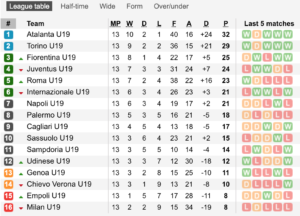 It was exciting to finally find the launch of the B team trial, just a shame that only Juve managed to meet the requirements for entering a side into Serie C. Placed in Girone A (by geographical region) Mauro Zironelli’s squad of mainly U23s but with a few experienced pros in the ranks have endured a tumultuous campaign to date and are currently to be found not quite poorly but certainly underwhelmingly placed in 11th spot of the table. Injuries to key players have not helped the cause with dutch midfield dynamo Leandro Fernandes out till late January with a muscle tear and Captain Courageous, the 28 year old CB Raffaele Alcibiade out with a hamstring problem since October, also sent to return soonish. The latter especially was a big blow, as the experienced stopper was intended to be the linchpin, mentally as well as physically, of a side brimming with youthful exuberance but not many minutes of senior action under the hooves. Still, the side have toiled on regardless, shown some promise whilst succumbing to periods of naivety and disorganisation, which is to be expected at a level much tougher for the inexperienced than many assumed. 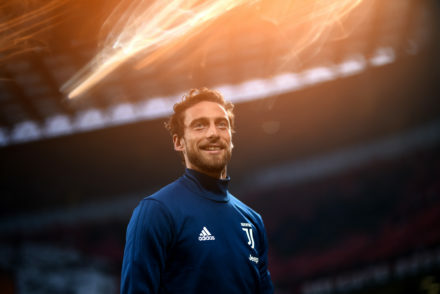 Its a steep learning curve and its easy to imagine most teams upping their game against Juve for to have a victory over the bianconeri at any level will be a feather in the cap for many players, even at this level. Some positives are Matheus Pereira, the 20 year old Brazilian playmaker, whose early season form impressed with 5 goals and several assists. His frontman Cristian Bunino also has 5 from 17 games and yet the big money (at this level) signing from Arsenal, Stephy Mavididi has disappointed thus far, registering only 3 goals from 19 appearances. Its really too early to tell whether the season has been a success, though it does not look like a failure to my quite cynical eyes, for we have shown ourselves to be worthy of a mid table position. Better than those below weaker than those above. Considering the squad was put together at a moment’s notice, with no pre-season, never played together before, nor knew anything of the manager…a mid table finish would be fine. I would like to dream of a play-off position, but only the side placed second moves into this knock-out stage at the end of the season, and presently we are 12 points off there. What does seem likely is that we will improve once those mentioned return from injury and as the side settles and develops more cohesion and fluidity. The club is actively working to strengthen the U23 side in the Winter mercato window. With an experienced striker a key target. We were set to sign the Portuguese striker Trincao, but it appears the deal has now fallen through as Braga wanted the money upfront and Juve wouldnt budge from a loan with purchase option. Baldini’s side have been in fine form, sitting pretty in the league presently in 4th spot, well positioned for a place in the end of season play-off competition. They have also managed to progress to the knock-out round of the UEFA Youth League, where they will face Dynamo Kiev. 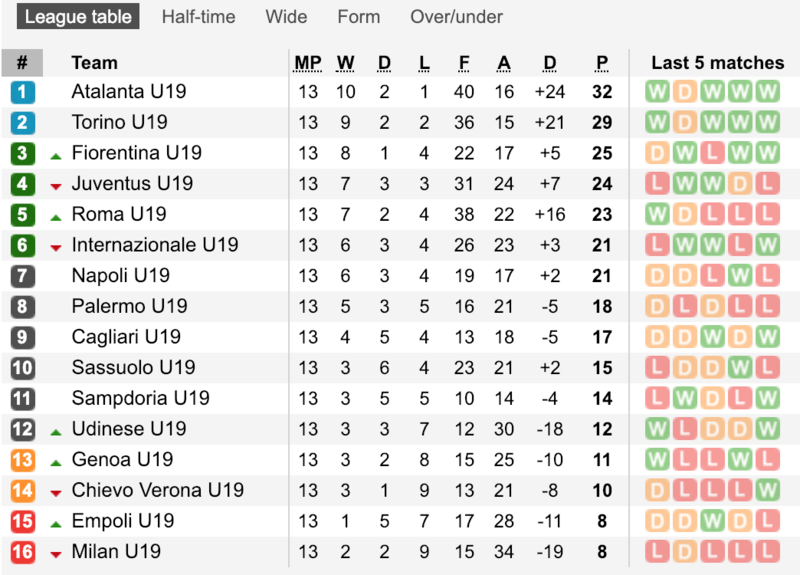 17 year old Elia Petrelli leads the scoring charts with 10 goals and 5 assists from 17 games, continuing his phenomenal form from his last two seasons in the younger age brackets with Juve. Even more impressive when you consider that he is playing against many others 2, even 3 years older. Still, he is a big lad for 17! Nicolo Fagioli and Manolo Portanova continue to excel in the midfield behind the young striker, and it wouldn’t be a major surprise to see the latter head out on loan such is the swiftness of his development. At the back, Portuguese import Rafael Bandiera (17) has been almost ab ever present in the right wingback spot. Honourable mentions also for Caviglia, Anzolin and Loria, all have featured in the first XI pretty much whenever available. 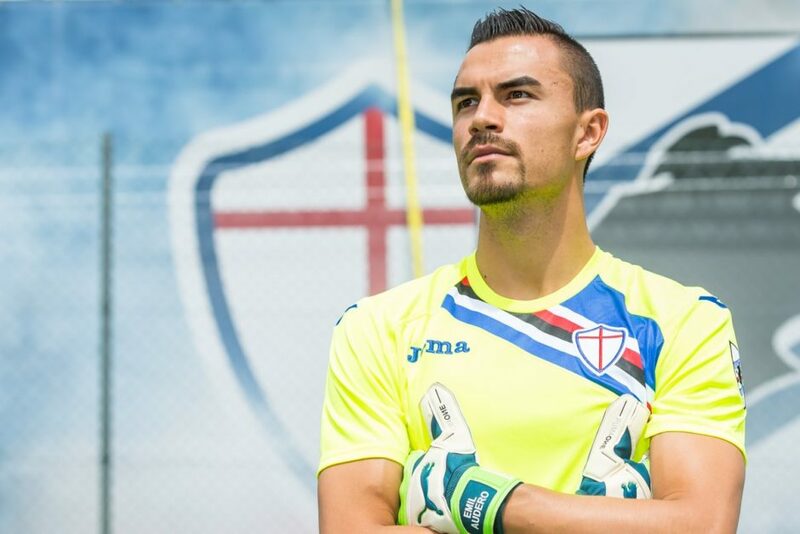 The stand out performer is clearly Emil Audero, who continues to excel at Sampdoria between the sticks. His loan deal may be extended to 2 years. And it seems the club do not wish to lose him. Over at Sassuolo we have a trio of youngsters all playing regularly in Pol Lirola, Giangiacomo Magnani and the Brazilian fullback Rogerio. 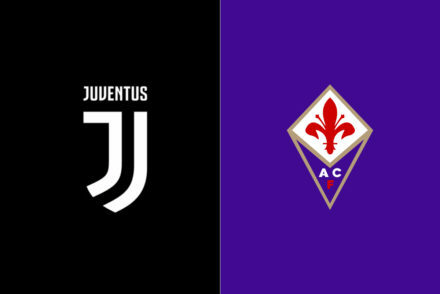 Orsolini, Mandragora and Marko Pjaca are all featuring in their respective first teams often, though it seems that Croatian may well be set to move in the January window as his work in Florence is not proving as potent as hoped for all parties. There is some discussion regarding a possible return to Juve to replace Juan Cuadrado who remains sidelined until at least February as he recovers from knee surgery in late December. Where the devil is he now? Having followed the Youth sector for most of this decade, I often find myself peeking for the those who long ago aroused excitement when first appearing in black and white barely out of their nappies. Those forecast, not just by myself, but by those far closer to the action, for a bright future and potential stardom. Gabriel Appelt was signed with his brother Guillermo by Juve in 2011, from Brazilian side Resende. It was a strange deal in that in order to sign Gabriel we had to also bring in his sibling, perhaps assuming it would help him settle. 17 year old Gabriel, a defensive midfielder, came with a few nods of approval from established professionals who likened him with a hint of Redondo combined with one of my favourite PES players, classic Brazilian star Falcao (the bane of many a friend for I made him into a savage prone to the most needless, awful fouls, always very late indeed and often not noticed by the ref, other than the Japanese official who would send a player off for simply stepping towards an opponent! He rarely lasted 45 minutes, let alone a full match). 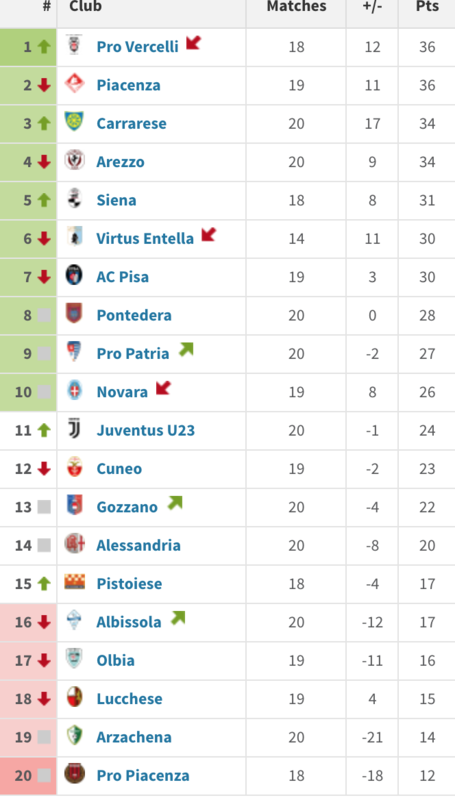 A year in the Primavera went well enough before a loan move to Pro Vercelli, then to Spezia, on to Pescara until he was snapped up by Spanish La Liga newcomers Leganes on yet another loan but with purchase option. I had watched what I could of the arch angel and found a solid central midfielder with great tenacity and guile going forward when called upon. Beautiful left foot. He looked an exciting prospect who I was saddened to see never given any look-in for our first team squad despite his fairly steady development. Moved into a more attacking midfield position, the youngster quickly became a first team regular for the plucky Leganes side, playing a major role in their survival. It was no surprise when they exercised their purchase option and signed him outright for a measly 1m. He had cost us 2m originally, with his brother chucked in for an extra 1m. Another solid campaign in Spain, including a run to the copa del rey semi-finals saw a bigger move in the Summer of 2018. It was none other than Portuguese powerhouse Benfica who won the race for his signature, paying 10m for his services. Still only 25 Gabriel is now pushing for a first team berth, featuring regularly both domestically and in Europe and appears – especially given our problems in midfield – certainly one who got away. (NB. As for his brother, he was last season playing in the fourth tier of Swiss football, for FC Solothurn).